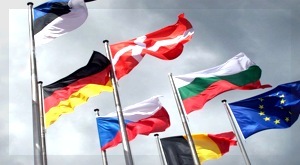 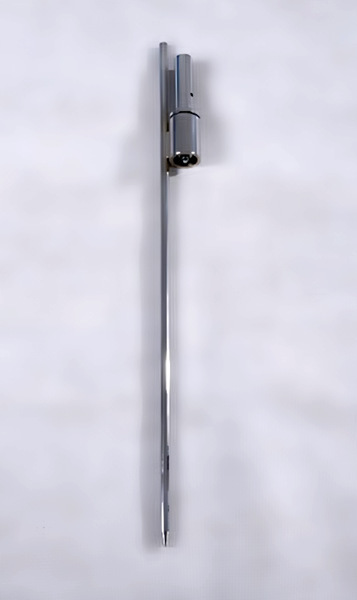 An elegant and modern design flag stand. 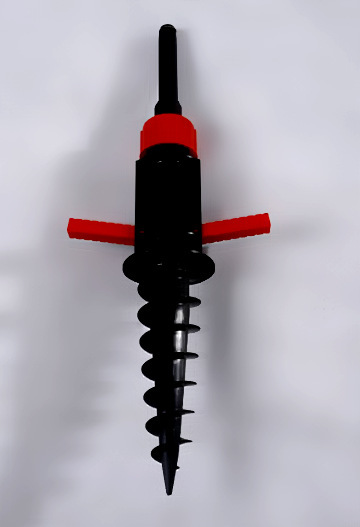 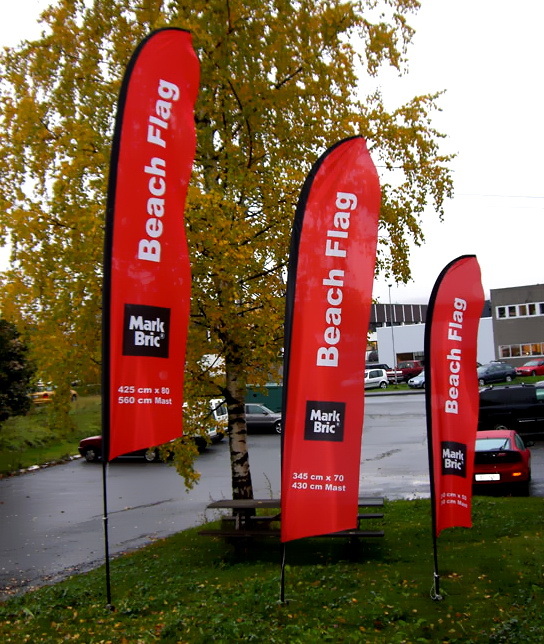 This is a great promotional tool for disseminating information to the entrance, near shopping centers, sales, public halls, exhibition area, in nature, different events and so on. 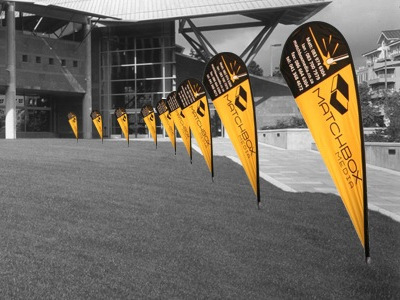 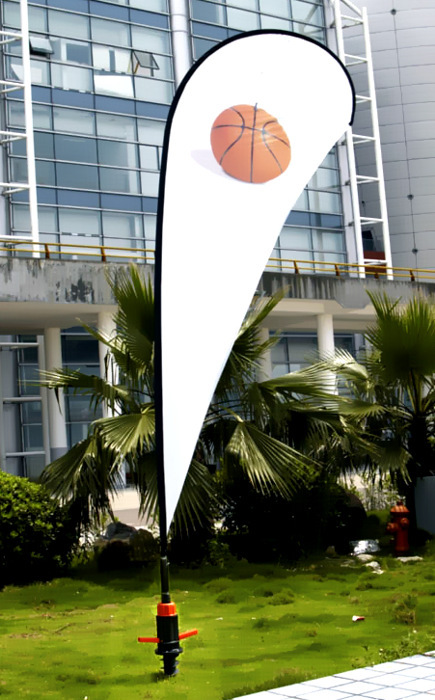 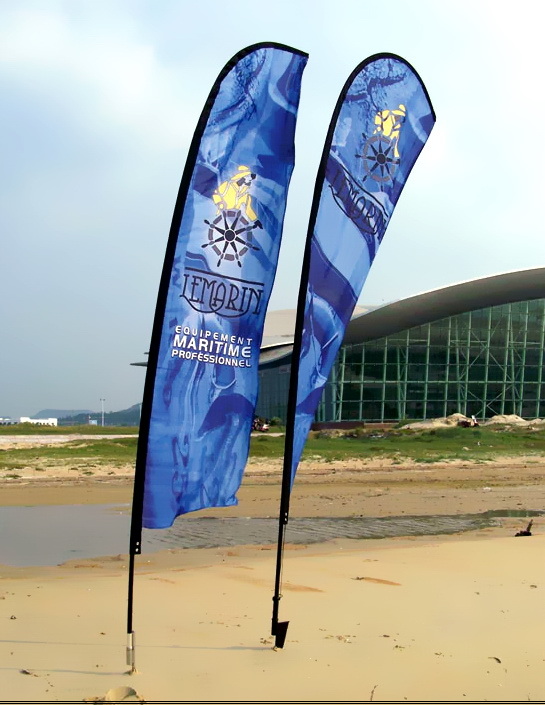 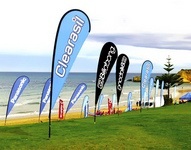 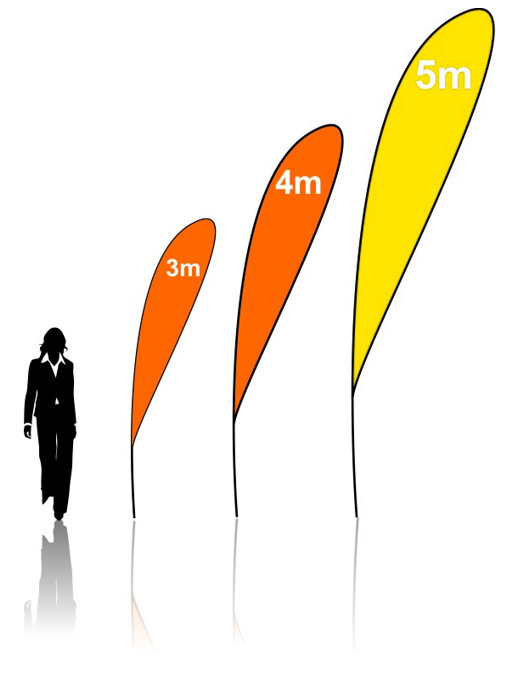 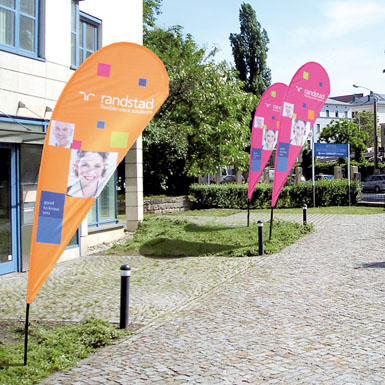 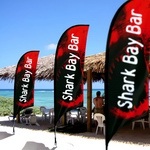 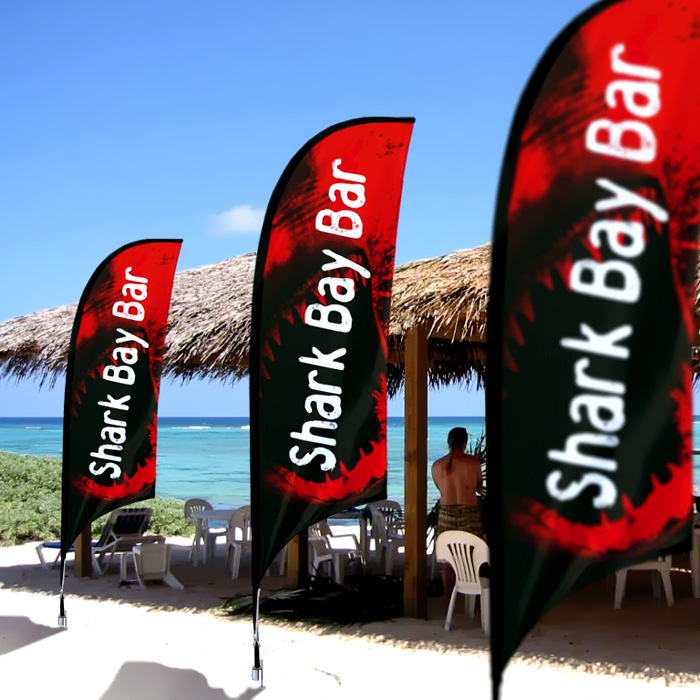 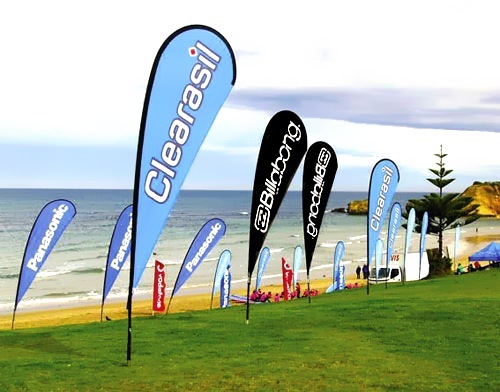 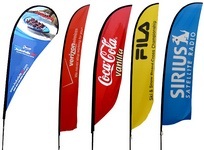 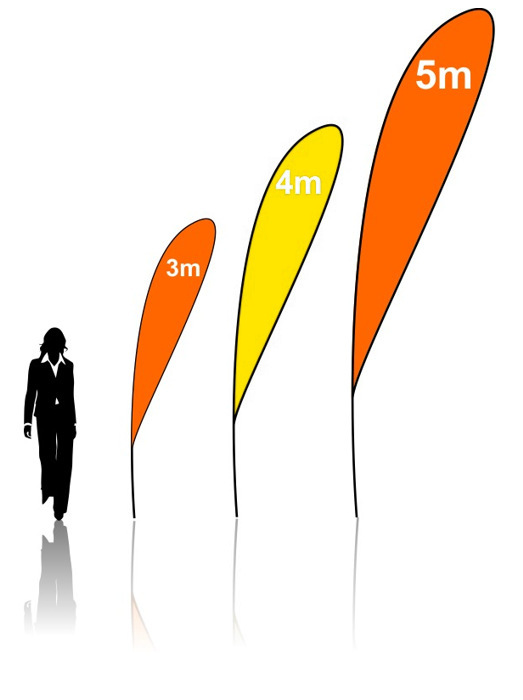 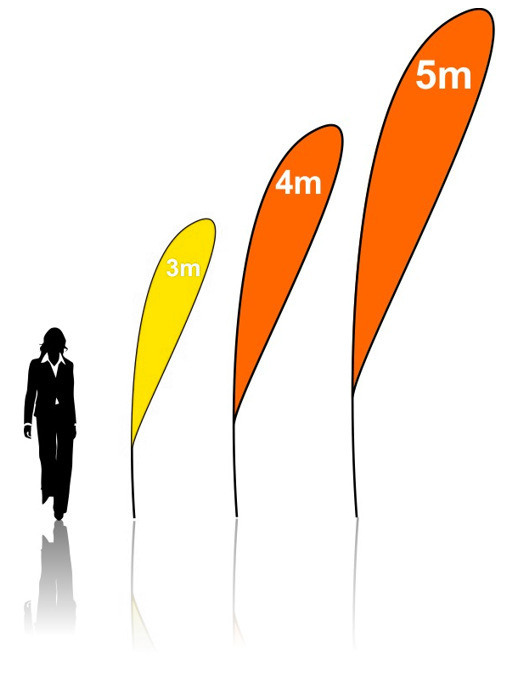 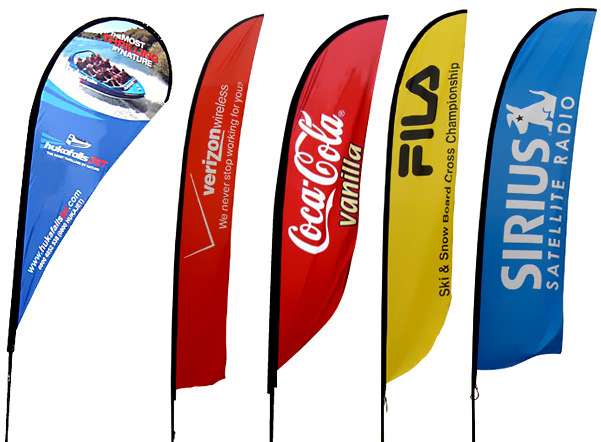 Flying banners are formed into a beautiful and aesthetic composition, when they are placed in parallel paths. 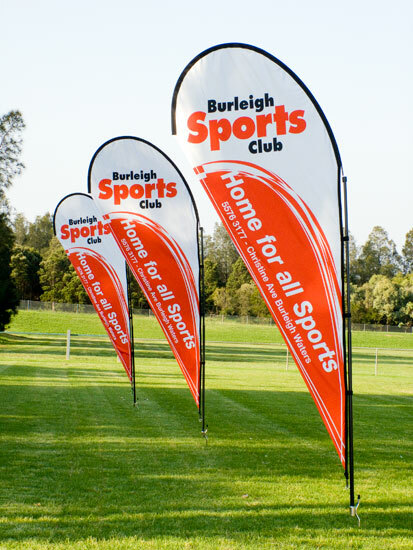 The flag stand is supplied with a transport bag.